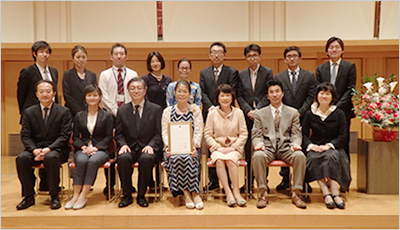 Intercultural Institute of Japan was certified on March 31, 2016 by Association for the Promotion of Japanese Language Education as an organization complying with the third-party evaluation criteria for Japanese educational institutions. It is required that a certified organization get re-evaluation every three years. We continue our efforts to contribute more to the growth of education and to provide high-quality education services. 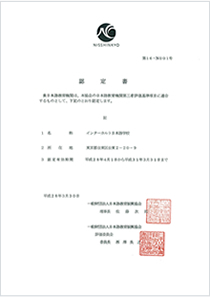 In accordance with the provisions of Guidelines for Administration of Japanese Language Institutes, 1-2 ("self-evaluation and others"), Japanese language educational institutions are expected to make an effort to check and evaluate themselves and get the results verified by a third party in order to improve their education levels and to achieve their objectives and their social missions. Our objectives and basic policies regarding third-party evaluation are as below.